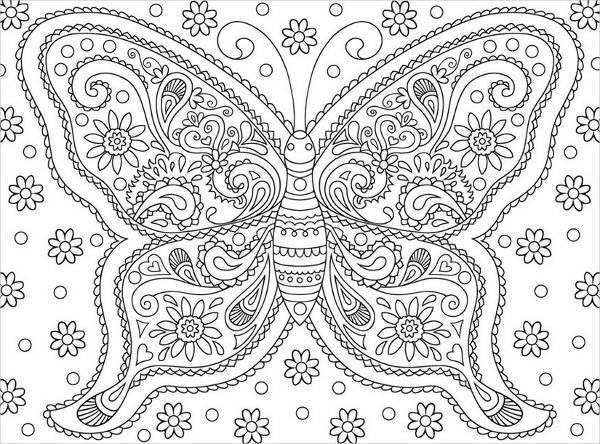 Coloring is a fun outlet to alleviate stress for adults and to boost development in kids. The demand for coloring pages has increased lately. Though coloring books are available for purchase in bookstores, some people prefer to download and print their own personal collection of coloring pages. 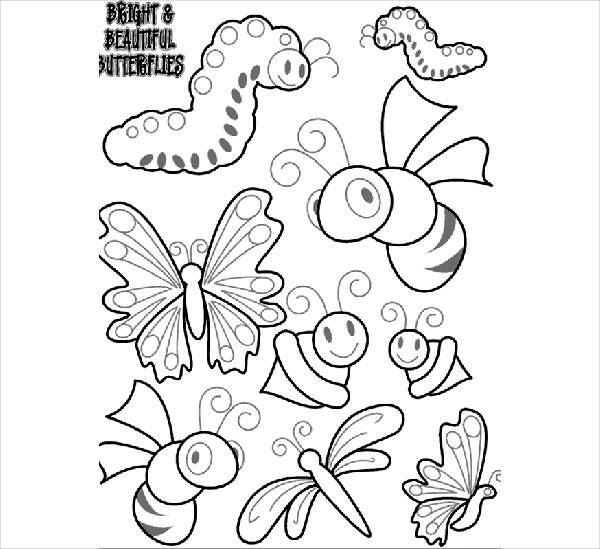 If you love to color and you happen to love butterflies, then these delightful items are the way to go! 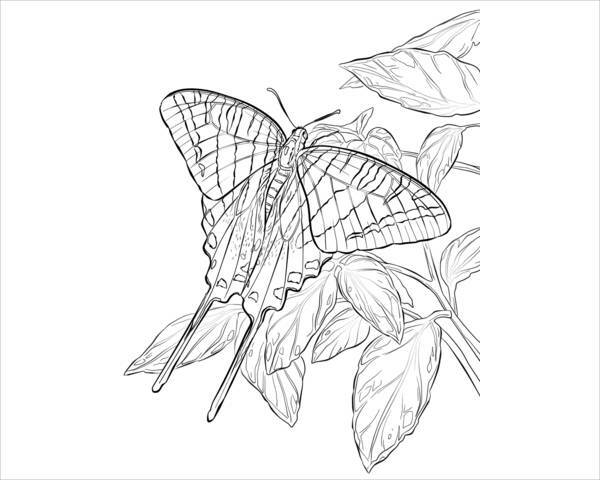 Scroll through these butterfly coloring pages we’ve listed for you to save, print and color on. They all come in JPG, PSD, and AI Illustrator file formats, which are pretty much compatible on any platforms you’re using. 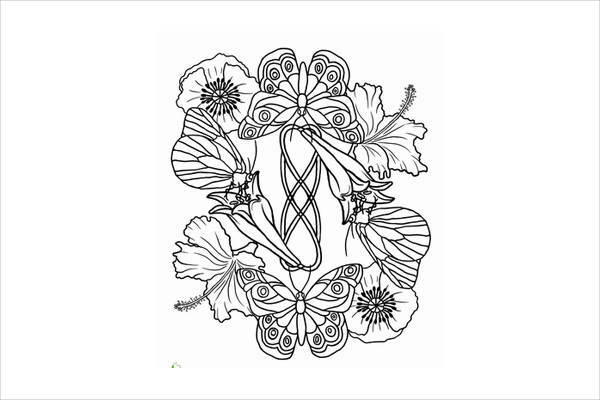 Abstract Coloring Pages are also available for more options. Butterflies are considered to be one of the most interesting creatures known to mankind. This type of insect goes through a phase of evolution like we all do. The amazing thing though is that, their appearance is completely different when they evolve. Imagine it hatching from an egg, coming out as a caterpillar in its grotesque worm-shaped semblance. Then watch it turn into this ravishing flying creature with wings showing a sophisticated, artistic detail that’s very tantalizing. Seeing it’s transformation is just glorious! 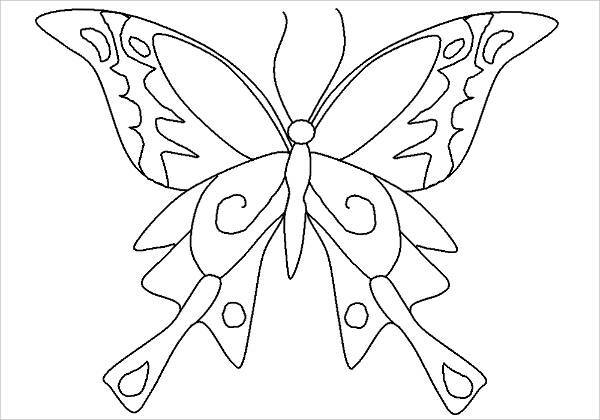 The items that we offer that are appropriate for the little ones are, Printable Butterfly Coloring Page, Cartoon Butterfly Coloring Page, Butterfly Outline Coloring Page, Realistic Butterfly Coloring Page, and Butterfly Coloring Page For Kids. 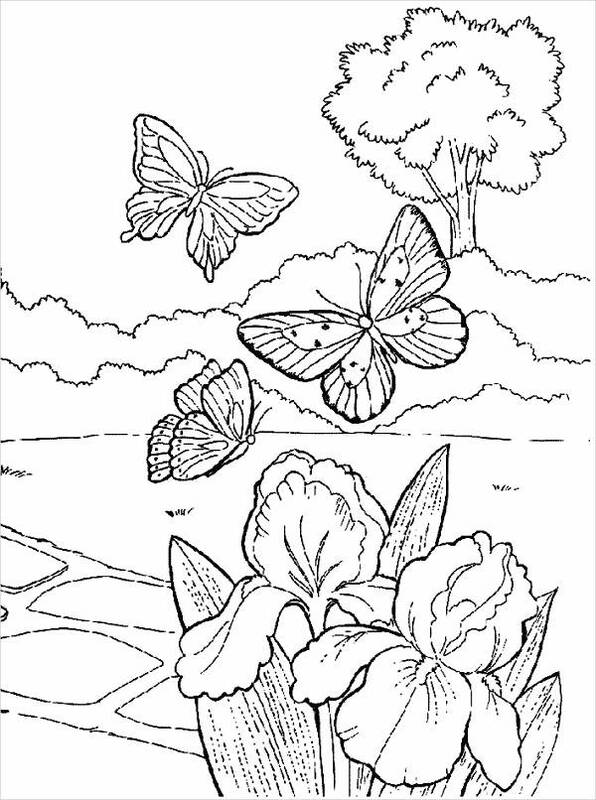 As for Adults, items such as, Download Butterfly Coloring Page, Flowers & Butterfly Coloring Page, Catching Butterfly Coloring Page, Butterfly Mandala Coloring Page, and Butterfly Coloring Pages For Adults, are the assortments to go for. Set aside your cliche thoughts of coloring, and hop into the bandwagon instead! This is the perfect outlet to alleviate the accumulated stress from the whole week grind. It’s that time to give yourself a break to cope with the stress by means of coloring or other stress-free activities you may have in mind. You may do it alone, with your kids, or with your circle of friends. 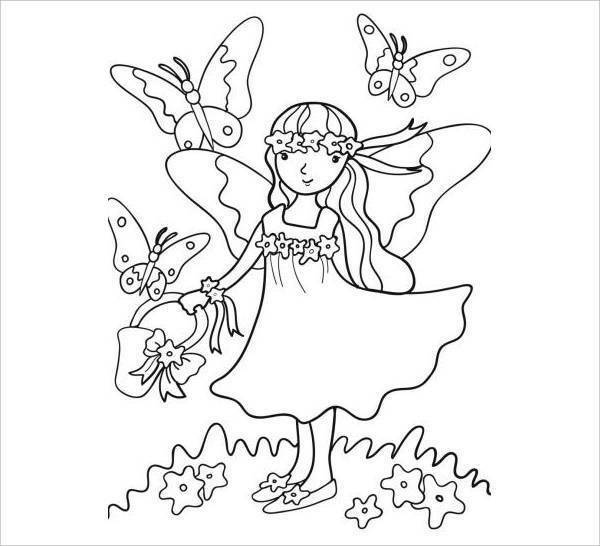 For more selection, do check our Coloring Pages for Kids your little once will surely love it even more. Studies show that coloring is the most effective learning method for kids. To begin with, pictures and colors are more appealing and less intimidating to introduce to the little ones. Technology may have replaced some of the known methods of learning, but coloring will never get old, or altered. This learning method will help a learning child a thing or two about focus, motor skills, control, patience, discipline, contentment etc. As for adults; coloring, not necessarily using crayons, as you may use other coloring materials like colored pencils or watercolor, can help alleviate stress and promotes focus, if one has an issue with such. 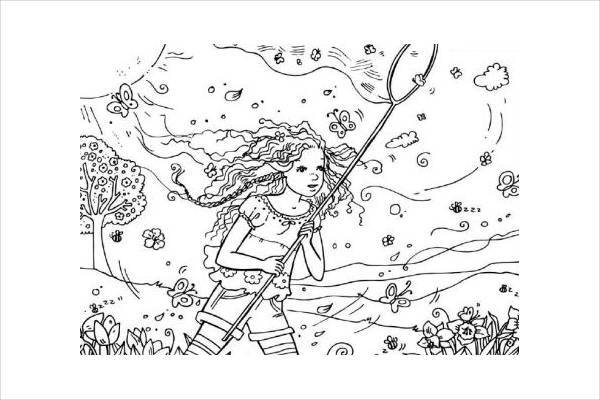 Our list of coloring pages come in JPG, PSD, and Ai Illustrator; perfect for editing and printing. 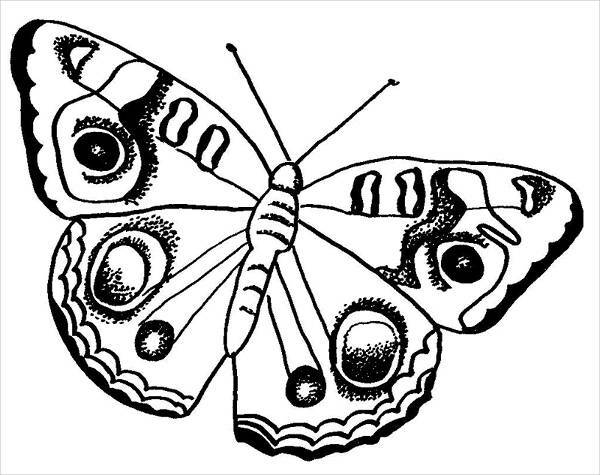 Are you amused with our list of butterfly coloring pages? Then you haven’t seen it all yet! 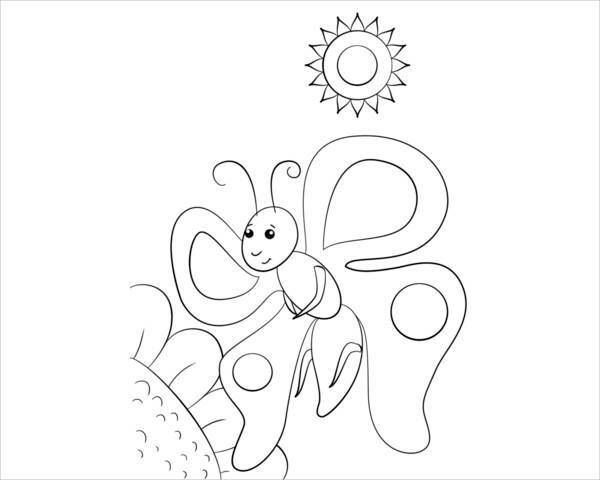 you may also want to check our Bird Coloring Pages to get more dose of flying creatures to get your hands dirty with.